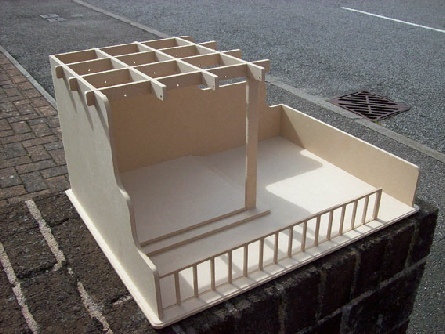 This easy to assemble pergola garden kit would make a great addition to your existing dolls house. The pergola is built into the rear and side walls with ample space to add a shed etc to the right. A fence has been added that slots into the groove of the base. Holes have been added to the pergola beams to support hanging baskets.